Come join us at the Nine O Bar & Grill – the Eastside’s friendly neighborhood restaurant. 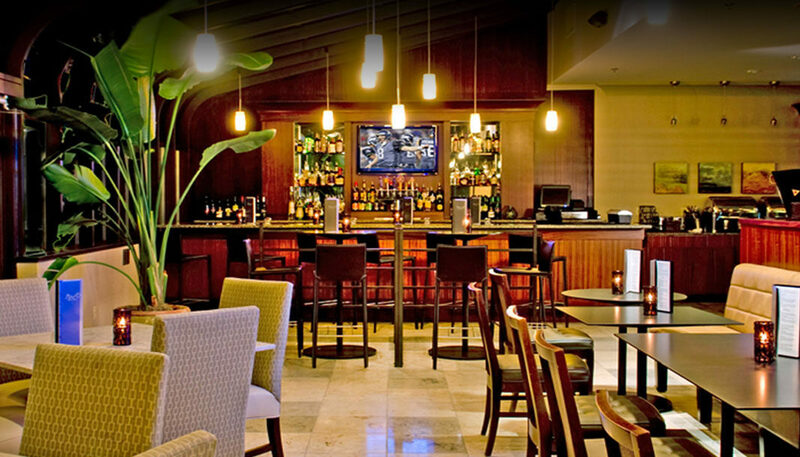 The Nine O is a warm and inviting gathering place where great food and welcoming smiles are always served. We are conveniently located in the heart of Bellevue’s Eastgate neighborhood where bustling communities and high-tech businesses create a dynamic environment day and night. Our stylish restaurant and bar is the perfect place for strategizing with work colleagues over lunch, savoring some delicious cocktails for Happy Hour, or just enjoying a fun night out with friends and family! You can cheer on your favorite team on one of our flat screen TVs or you can simply relax by the fireplace and enjoy a delicious meal. The Nine O Bar & Grill’s charming outdoor patio provides just the right ambience for a sunny afternoon lunch or a cool evening cocktail by our cozy outdoor fireplace. 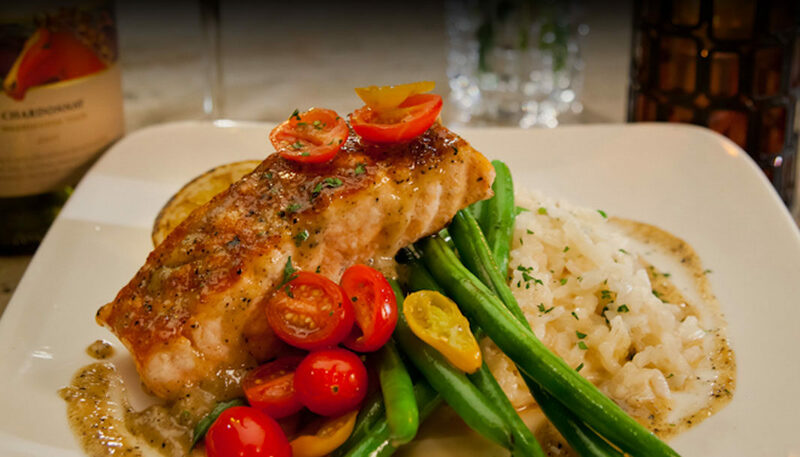 The Nine O culinary team is dedicated to consistently creating finely prepared foods with the Northwest’s abundance of fresh and local ingredients. We have a variety of menu options to satisfy every palate, and our daily specials provide exciting, seasonal options that will tempt your taste buds! Breakfast is served every day, and our all day menu offers an enticing selection of salads, fresh seafood and steaks, premium burgers, comforting soups, kids’ items, and more. We have something for everyone! Nine O features a selection of domestic and local craft beers on tap, a variety of carefully selected Washington wines, a variety of handcrafted cocktails, and an extensive premium spirit collection. We’re committed to supporting our community by serving local beer, wine and spirits – it’s also a great way to showcase the amazing flavors of the Pacific Northwest! 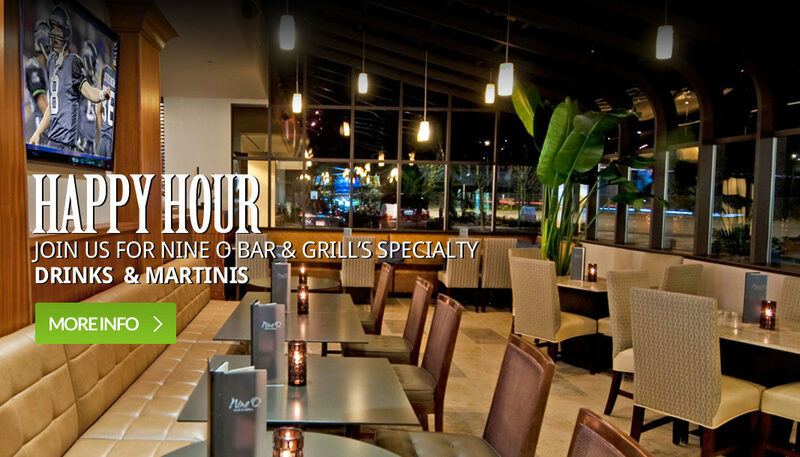 Join us for Happy Hour twice daily from 3-6pm and 9-11pm!